With any operating system there are times when any equipment stops working. This often happens due to improper working of drivers. Reasons why a driver may stop responding to commands and operate correctly, there may be many, but the fact remains that the device does not work. It is also possible when the computer can produce the sound appears about a possible lack of drivers for audio hardware. Find the disks that you were given when purchasing a computer or accessories. Among them should be a disk labeled "Drivers". Install it in the computer drive. Right click on "My computer". Opens the context menu. In this menu, click "properties". The team is at the bottom of the column. Click on it with the left mouse button. Find the "device Manager". Depending on the version of Windows you are using, it is located on different panels. In Windows XP - on top of the left pane, in Windows 7 or VISTA - in the left pane on top. Select this option by clicking on it with the left mouse button. In a column displays a list of hardware installed on the computer. Locate the "Audio device". On the left next to the inscription you will see the arrow, click on it to open a list of sound equipment. There are situations where in the list instead of the name of the sound card is written "unknown audio. It doesn't matter, the procedure is the same. Right click on the name of the audio equipment, which appeared in the list. From the menu select "update driver". In the update options select "search driver on this computer". As the update source, select the drive of your computer, as there is a driver disk. Then click "OK" and wait until system will find the necessary drivers. In a few minutes the driver will be found. The system will offer to install them. Click "OK" and wait for installation to finish. Then restart the computer. If the driver disk is missing or lost, after click the "update driver" check the box next to "use Internet connection". 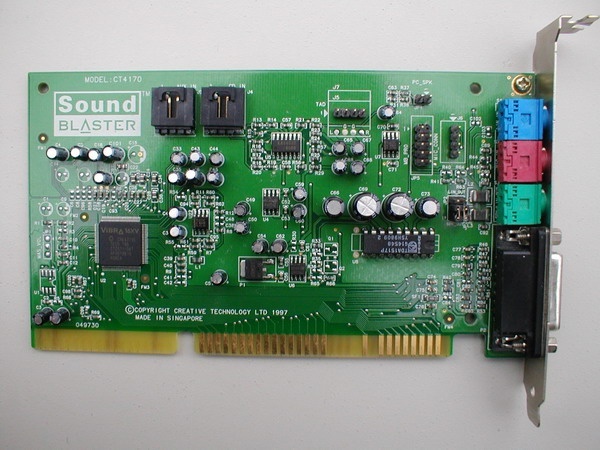 The system will automatically find, save and update the driver to the sound card. The process is a little long, but the computer will store the backup driversif in the future you will again need to reinstall.